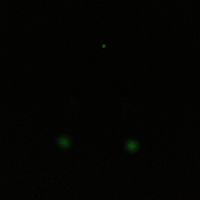 TruGlo TFO Night Sights - Sometimes less is more! Many of us think that paying more means we get more. This isn't always true. There are a number of manufacturers of high quality, durable, Tritium night sights out there for you to choose from. Depending on the pistol those competing sights are intended to fit and any other features such as windage and elevation adjustments, they generally range from $110 - $165 for a good set, the majority of which carry a 10 or 12 year warranty against lamp failure. TruGlo TFO Tritium Fiber Optic night sights sell for $99.99 including free shipping(at the time of publishing this article) through our webstore and I am going to tell you why they are the best(in my opinion) while remaining one of the least expensive sets you can buy, so please read on. I have been using TruGlo TFO Tritium Fiber Optic sights on a Glock 17 and Glock 21 for at least 7 years now and I have been happy with them ever since. I use the Green Front / Green Rear set but they are also offered in a Green Front / Yellow Rear combo. TFO stands for "Tritium Fiber Optic". 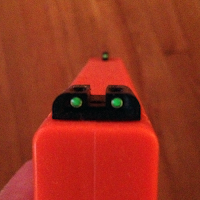 TruGlo TFO sights are an infusion of Tritium & Fiber Optic technologies. Tritium is a radioactive isotope of hydrogen. This is what makes the sights glow in the dark. While the trace amount of tritium used in night sights is not dangerous unless ingested, it should be noted that weapon sights containing tritium are regulated for export by the U.S. Department of State and may also not be legal in other countries. Fiber Optics are basically a flexible, transparent fiber made of high quality extruded glass or plastic that transmit data, or in this case, light. 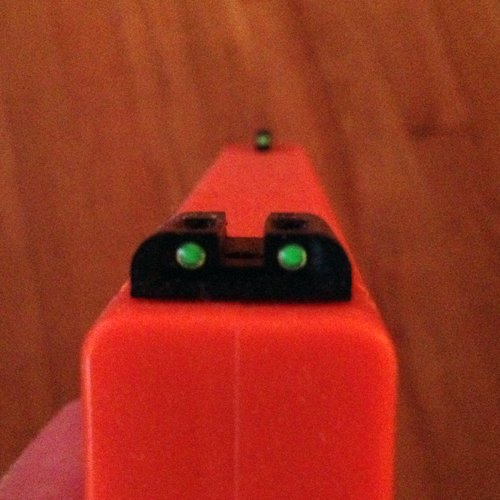 Now that science 101 is taken care of, here is how the Tritium and the Fiber Optics work together on TruGlo TFO sights. The tritium is encapsulated in sealed plastic tubes and cause the sights to glow at night. While I have also owned both Trijicon & Meprolight night sights, the TruGlo's simply seem to be much brighter than the more expensive products they compete with. My G17 & G21 sit in my safe for most of the year except for the two or three times I make it out to the range and everytime I open the safe up to take them out they are always glowing back at me nice and bright. The Fiber Optics feature of the sight set are an exposed section of the tritium tube that gather light. This makes them easily visible and distinguishable when exposed to light, whether natural sunlight or artificial light. Most traditional night sights just appear as white dots during the daytime, but not these! Over the years, customers have called and either asked questions or have sometimes wanted to return other brands of sights. Anytime I have had the opportunity to convince the customer to give the TruGlo TFO's a shot(no pun intended), almost 100% of the time I have gotten a "thank you" phone call or e-mail from the customer for turning them onto these great sights. It should also be noted that they fit in all holsters or at least I have not found a single holster that they don't fit in or get snagged in. 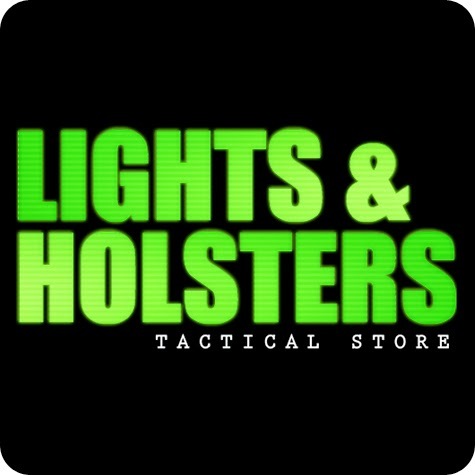 If you are in the market for your next set of sights, take a look and checkout some online reviews for them, you wont regret it. The can be purchased directly from us by clicking here.